Most waterfalls in the world are "normal" – perpendicular to the river. But there exist such oddities as Moconá Falls (Mocona Falls) – which are PARALLEL to the stream. 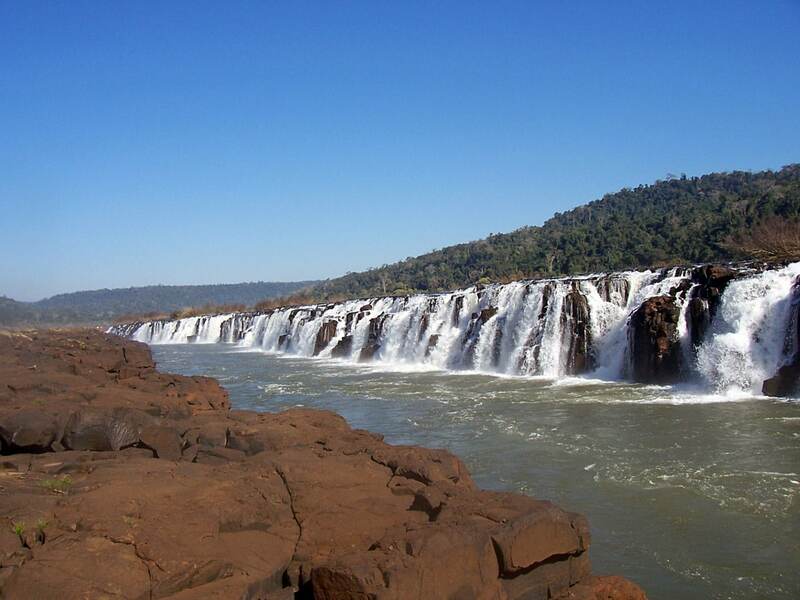 Just like the 170 km distant Iguazu Falls, Mocona Falls have formed in the basaltic Paraná Plateau, which formed in Cretaceous period. The enormous, 1,838 km long Uruguay river has an interesting peculiarity – on the bottom of river channel is a deep and narrow canyon, which is submerged and not visible, when standing at the bank of river. In the upper part of the river, up to Mocona Falls, this trench takes approximately 15 – 30% of the width of the river and is very deep. There are places where it is even 100 m deep! Specialists consider that this deep trench formed during the last Ice Age, when the climate was dry and river was narrower. Now this canyon is submerged with much more powerful stream and, thanks to the power of the stream, is not silted with sediments. Only in some places this submerged canyon becomes visible in daylight – and one of them is Moconá Falls. Mocona Falls divide Uruguay River in Middle and Upper Uruguay and are located 1,215 km from the mouth of river. Here the river flows along one rim of the trench and falls into it. 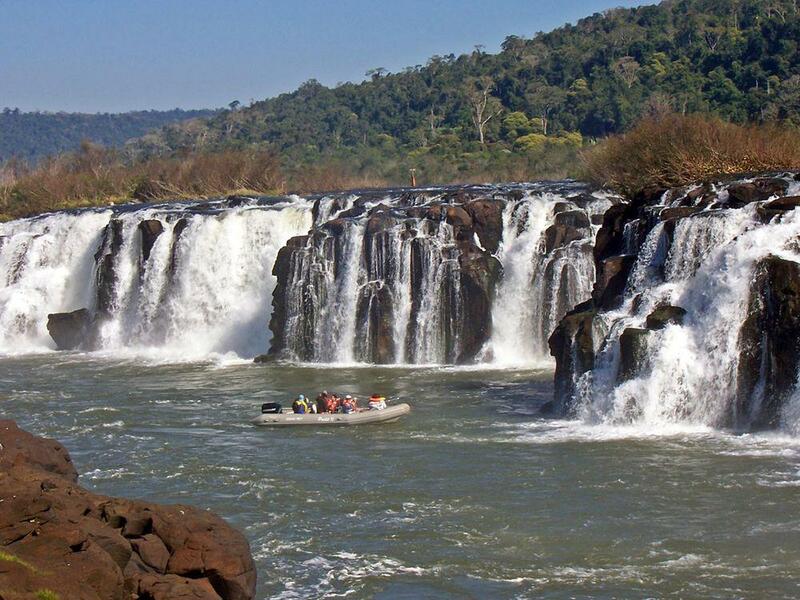 Moconá in Guarani means – "to swallow everything", but Yucumã – "the big fall". Somehow the first name is more used in Argentina, but the second one – in Brazil. 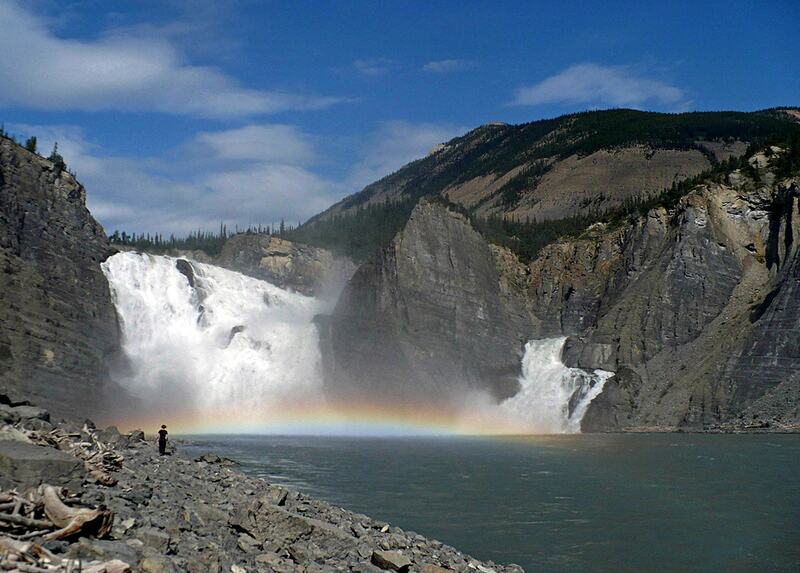 Mocona Falls are seen only during low water and are not visible some 150 days per year. This is not typical for "pure-breed" waterfalls and is more characteristic for rapids. Water level in the river may change in any time of the year – sometimes the enormous river rises per 5 metres over 24 hours. Thus a traveller might face a situation where during his journey to the the falls the level has rised and falls are not visible – visitors are recommended to ask for advice of locals before coming. But – if a traveller is lucky, he will experience an unforgettable sight. 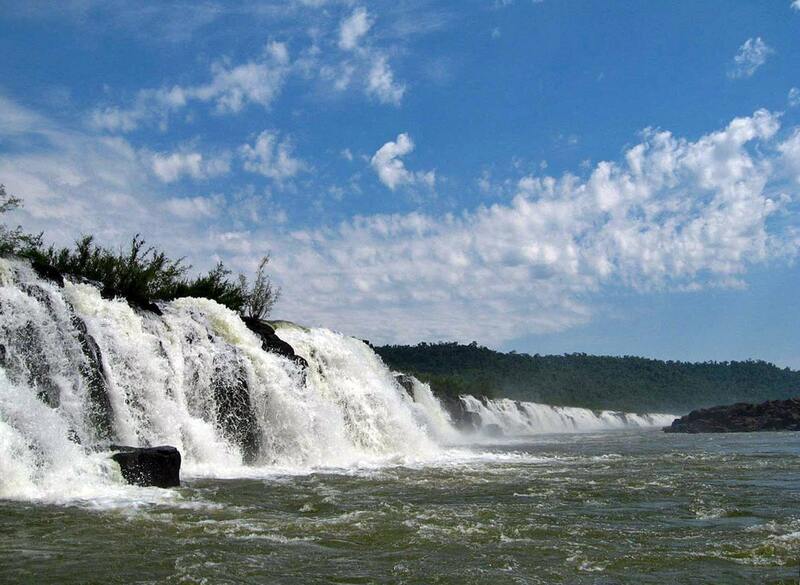 Although most of the river here is located in Argentina, the best vistas open from Brazil (again – a similarity to Iguazu Falls!). If a visitor stands at the middle of falls, he sees a unique sight – seemingly endless wall of falling water which surrounds the observer for 180 degrees. The width of falls is subject to water level. Some sources mention that the falls might be up to 3,000 m wide, many – that it is wider than 2 kilometres. More conservative sources give 1,800 m.
But even the most conservative figures mean that Moconá Falls are among the widest waterfalls of the world. The mighty Iguazu Falls are definitely wider – 2,682 m, but… that’s it, the only waterfall which is definitely wider. Technically there are even wider falls in the world, but these are interrupted with larger and smaller islands. Many sources mention that Mocona Falls are some 25 m high. This is not entirely true – this figure shows the drop of the river over the distance of some 3 kilometres. The height of the vertical drop at low water can reach 10 – 12 metres. Thus – if we consider that Moconá Falls are rapids – over 3 km distance these rapids make 25 m difference in river level. But the height of true, vertical waterfall reaches 12 metres. Around the falls has been preserved the pristine Atlantic forest. In Brazilian side this is the last place in Rio Grande do Sul state, where still lives jaguar. A nature protected area here was first established in Brazil – Turvo State Park was established in 1947 and now has an area of 17,491 ha. In Argentina a reserve was created in 1967, in 1991 was established Moconá Provincial Park. 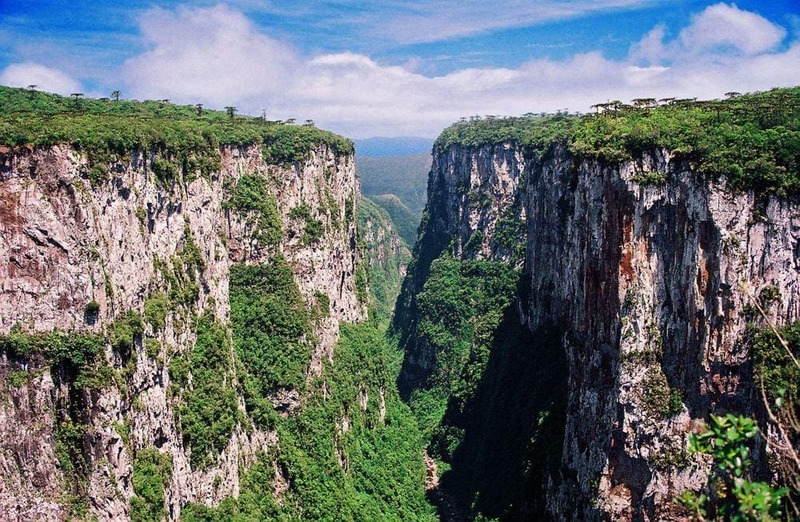 Unfortunately this amazing natural monument is endangered by the planned Garabí hydroelectric dam. Daniela Mariel Inés Kröhling, Martin Iriondo, A particular canyon excavated in the large Uruguay River channel (South America), International Geological Congress Oslo 2008. Accessed in 15.02.2012. 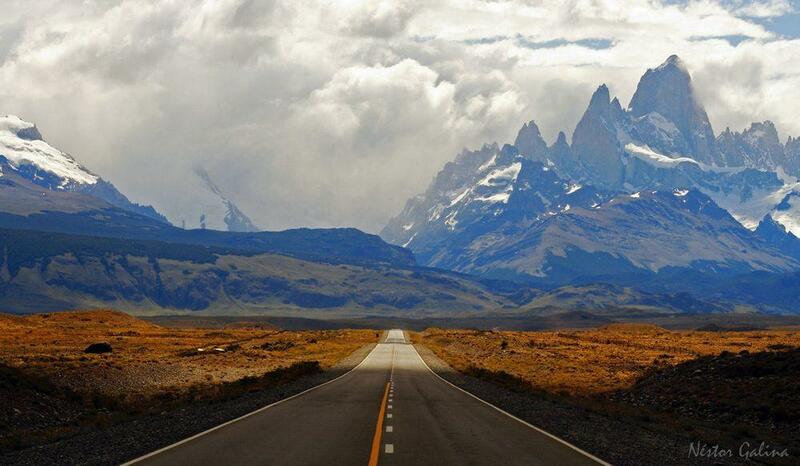 Argentina is one of the most diverse countries in the world – it has tropical rainforest and southernmost forest (after Chile), deserts and glaciers, some of the highest mountains in the world and immense flatlands of pampas. Brazil is enormous, diverse country with many amazing and unique attractions. Especially impressive are the diverse natural landmarks – many surprising geological monuments and areas with unique and endemic plants and animals. Few know it outside the country – but there are many beautiful historical cities. Many great monuments of architecture have been created in Brazil in the 20th century. 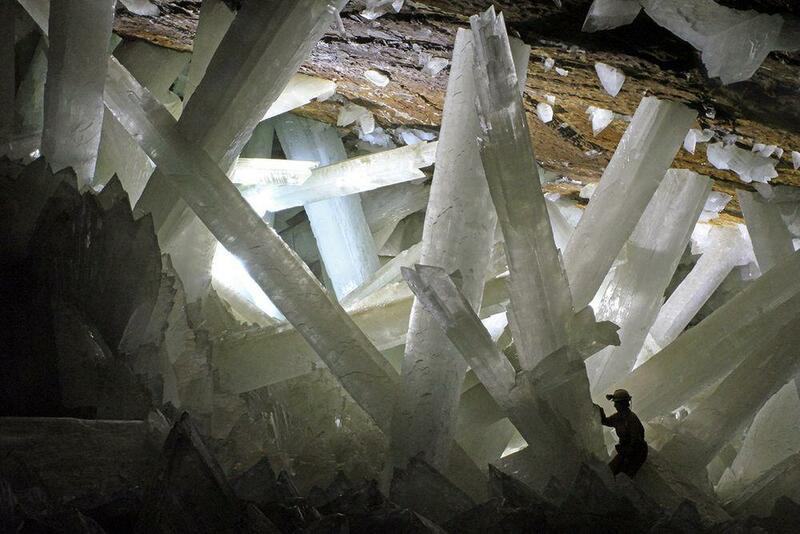 Discover Earth’s most beautiful and fascinating natural landmarks. From the spectacular granite domes of Yosemite to the reefs of the Bahama Banks and the ice sheets of the Antarctic, this is an unparalleled survey of the world’s natural treasures. t’s time to get off the beaten path. Inspiring equal parts wonder and wanderlust, Atlas Obscura celebrates over 700 of the strangest and most curious places in the world. Talk about a bucket list: here are natural wonders—the dazzling glowworm caves in New Zealand, or a baobob tree in South Africa that’s so large it has a pub inside where 15 people can drink comfortably.